Excellent accomadation. Only criticism was with a south facing garden could really have done with a table that supported a sunshade. A very attractive barn conversation at the edge of a quintessentially English village. The standard of the conversation is extremely high and it's really comfortable to be in. We were very close to Bibury and some lovely pubs (loved The Village Pub at Barnsley). It would be great if you could provide a bit more crockery (one of each means constantly putting small amounts in the dishwasher - especially mugs). Beautiful property, well kept, clean, modern and comfortable. Set in a beautiful location. Spotlessly clean. Beautiful accomodation which was well stocked and perfect for a relaxing weekend. A lovely converted barn, superb facilities. Excellent walks in the neighbourhood and very close to Cirencester. Amazing from start to finish. Will be back for sure. 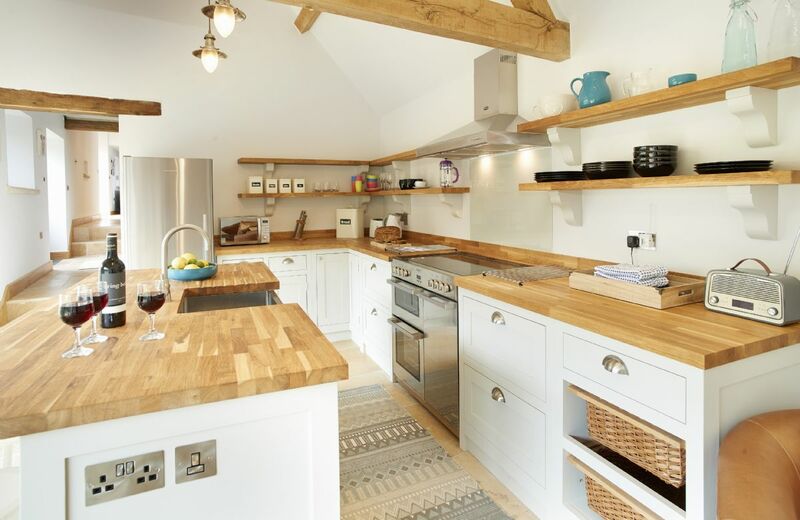 Rosebank Barn is a lovely quiet modern barn conversion, with an incredible kitchen and all the amenities you could want. I would recommend to anyone who wants a quiet get away sit next to the log burner and enjoy, especially the dolphin jig saw we nearly completed! It was lovely in almost every respect. Great location and spotless, well-equipped and spacious. Unfortunately, a pronounced drainage smell seemed to come from the loo in the shower room which really needs fixing. We enjoyed our days at Rosebank very much. It was well equipped and comfortable and the food Hampers were excellent. Some handrails on the steps and the stairs might be a good idea? Beautifully converted barn in peaceful location. Fantastic well equipped property in a lovely quite area. Perfect for a relaxing break away from the noise and bustle of our usual daily life, while still being within easy access to towns. 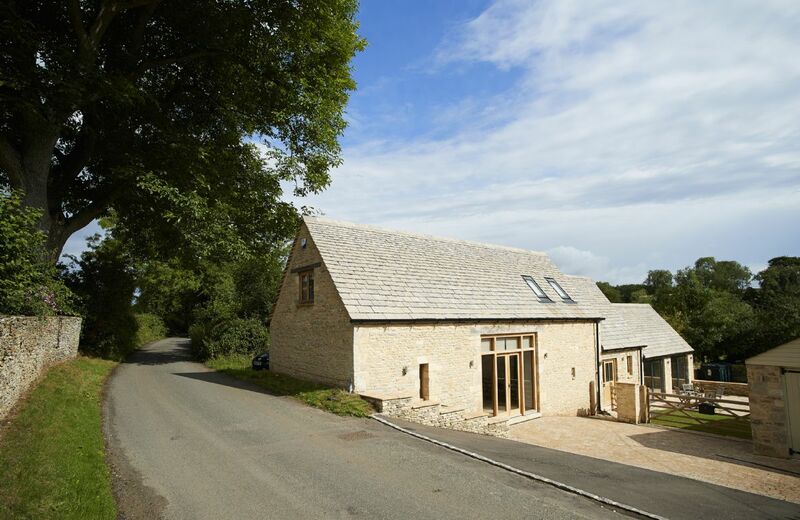 This converted natural Cotswold stone barn lies on the edge of a quiet village within the Cotswolds Area of Outstanding Natural Beauty. 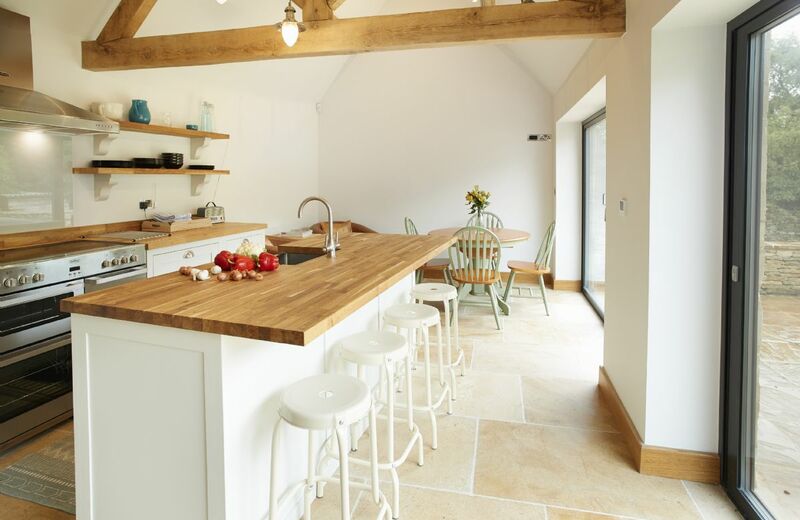 The South facing kitchen/breakfast room is bright and airy with oak beams, and twin large bi-fold doors providing easy access to the patio and walled garden; the open plan living and dining rooms have full height dual aspect. 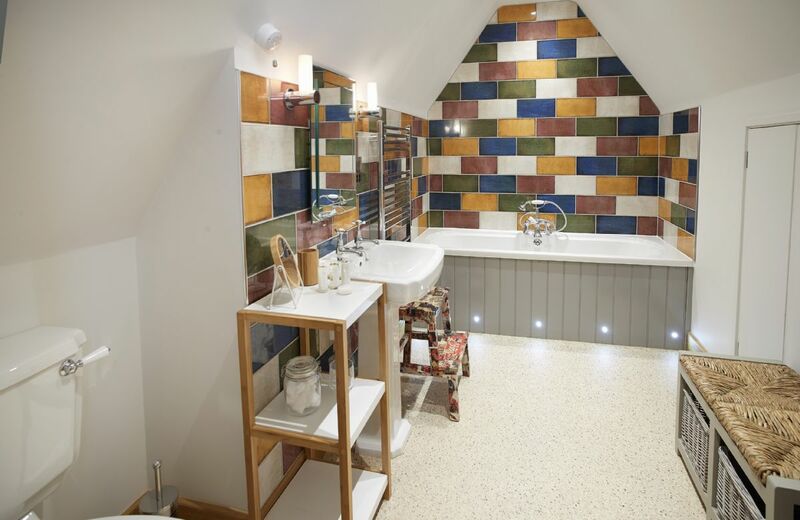 Completing this beautiful barn are two bedrooms, one double with en-suite and one twin, connected via a galleried landing with glass balustrades and views to the open plan ground floor. 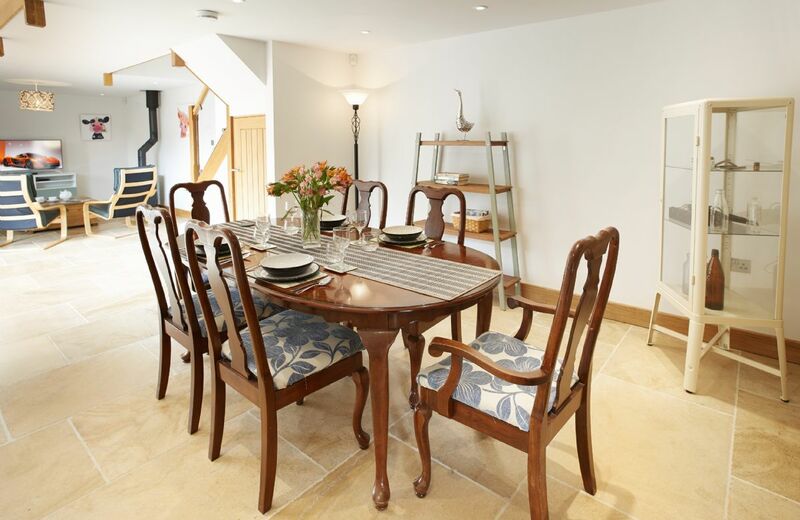 Rosebank Barn is set in rolling countryside on the edge of the enchanting village of Ablington. The village is located on the River Coln and the popular tourist destination of Bibury, once described by William Morris as 'the most beautiful village in the Cotswolds', is a pleasant one mile walk away across fields. Ablington has a fine 16th century manor house and was once the home of J. Arthur Gibbs; the renowned author of 'A Cotswold Village'. 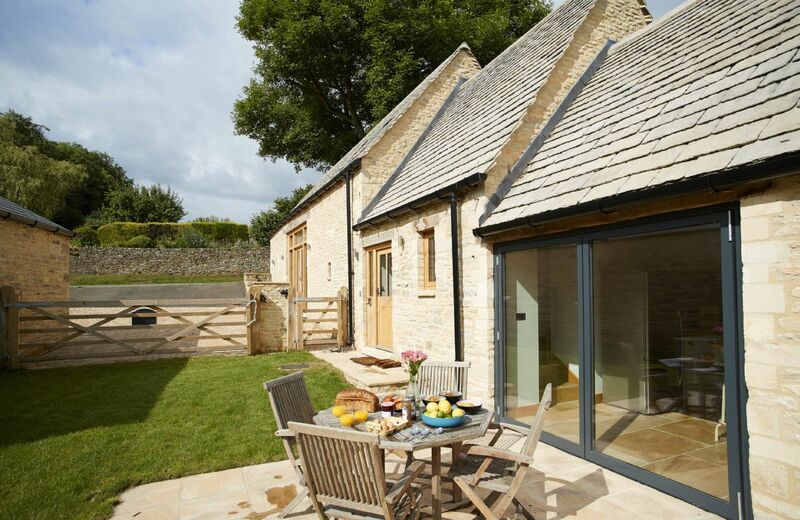 Rosebank Barn is an ideal base for exploring Cotswold villages and towns, on foot, by bike or in the car. 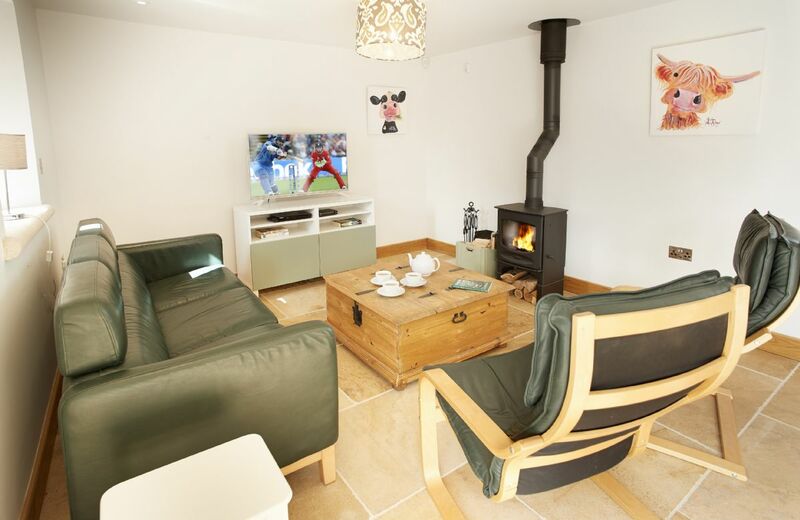 Located a short drive from Fairford, Cirencester, Bourton-on-the-Water and Cheltenham Spa and with easy access to the M4 and M5 motorways and trains via Kemble station. The barn is close to a number of noted wool churches, with Northleach, Cirencester, Fairford, Tetbury and Stow-on-the-Wold all worth visiting. 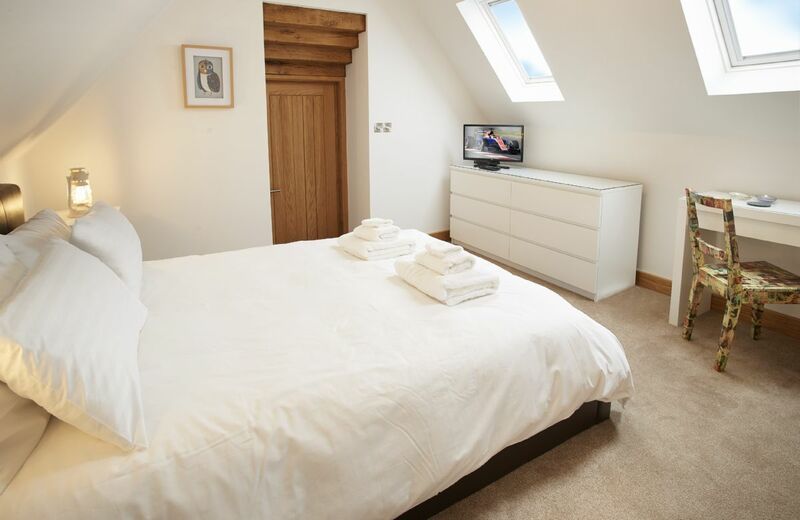 Master double bedroom with 5’ bed and twin bedroom with 2’6 singles (can be converted to a 5’ double on request). One en-suite bathroom and one ground floor shower room. 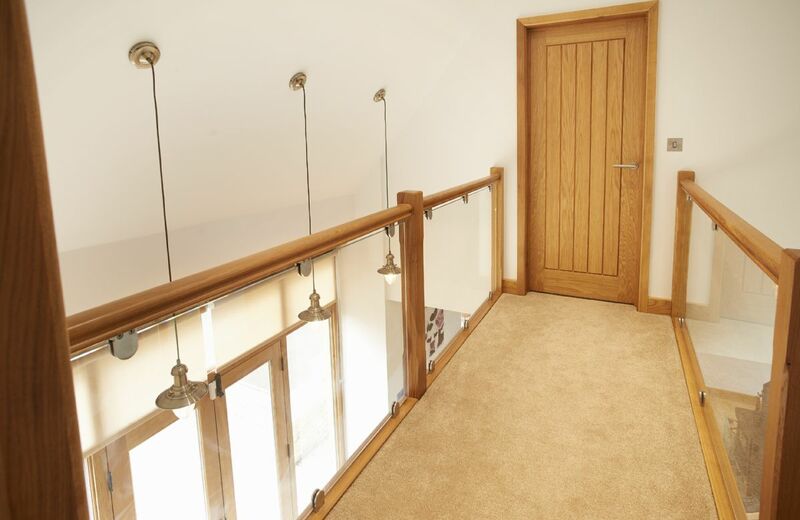 Gated access to enclosed garden with patio and lawn with views over open countryside. Parking for up to three cars. Minimum stay of two nights. 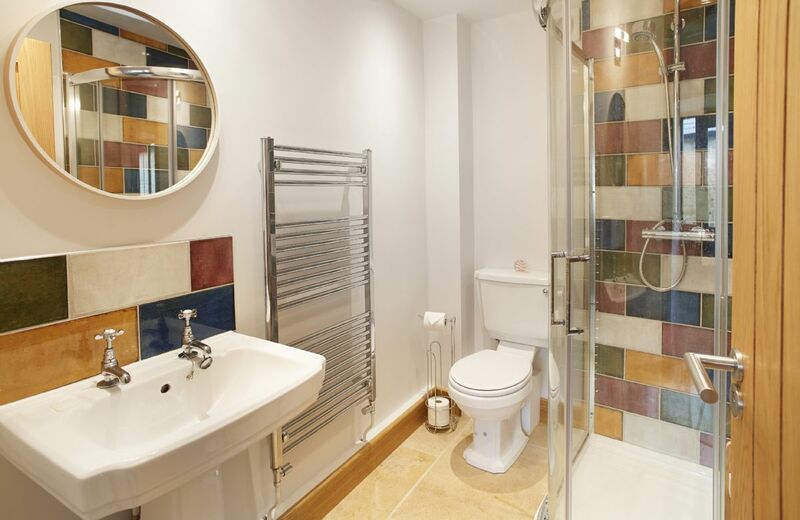 Exquisite real stone floor with underfloor heating throughout the downstairs. Open plan living space with bi-fold doors opening onto patio and garden. Spacious vaulted ceiling oak beamed kitchen diner with island unit breakfast bar that seats four. Electric oven and hob, combined fridge/freezer, dishwasher, microwave. Three televisions with free satellite, DVD player, and digital radio. Travel cot and highchair available on request. Garden table and chairs seating four. 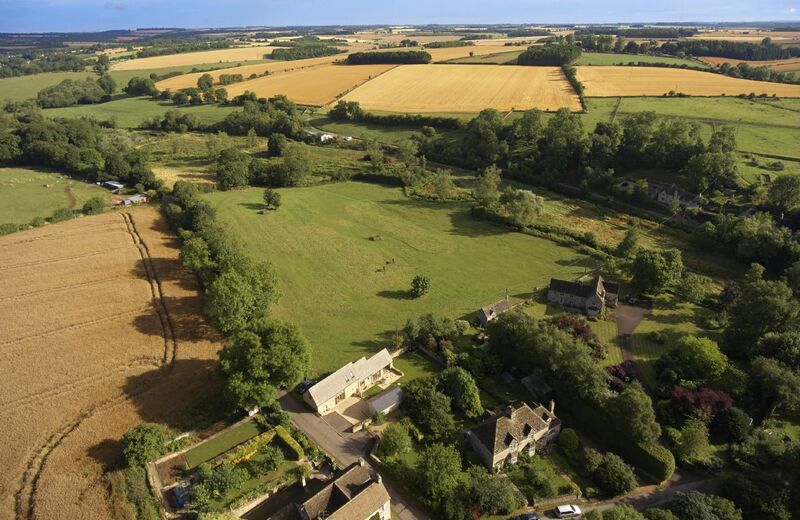 Just 1½ miles from Rosebank Barn is the charming village of Bibury with local attractions including Arlington Row, a row of weavers cottages built of local stone next to the River Coln, the Bibury Trout Farm and the Saxon Church of St. Mary. 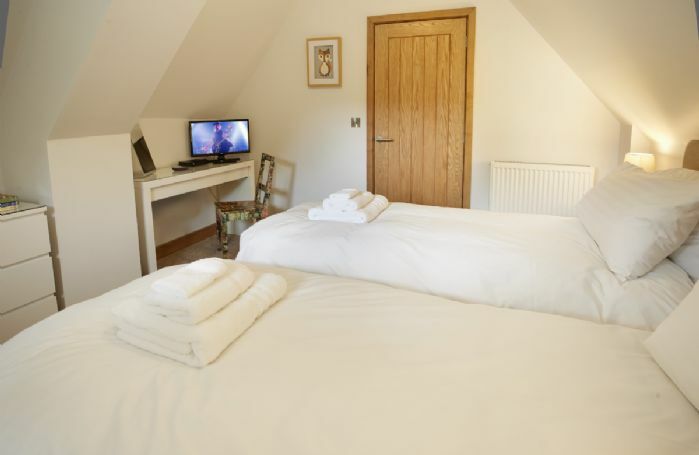 There are some great pubs and restaurants nearby including award-winning The Hare and Hounds, The Catherine Wheel, a family-friendly local pub in Bibury and The Village Pub, with its excellent selection of Cotswold craft ales. 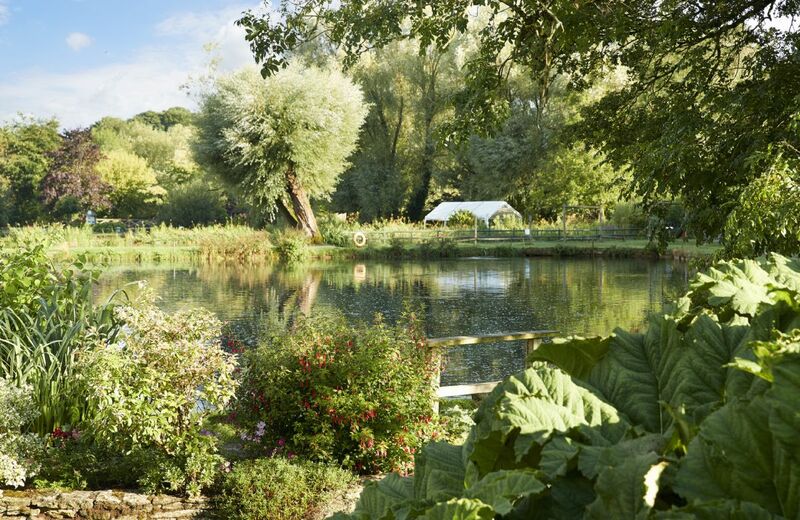 For a fantastic family day out try the Cotswold Wildlife Park, with over 260 different species of animals or Cotswold Farm Park, with its collections of British rare breed farm animals. There are a multitude of equestrian events in the area including Cheltenham Racecourse, Siddington Point-to-Point, the Badminton Horse Trials and the polo clubs of Cirencester Park and Beaufort. 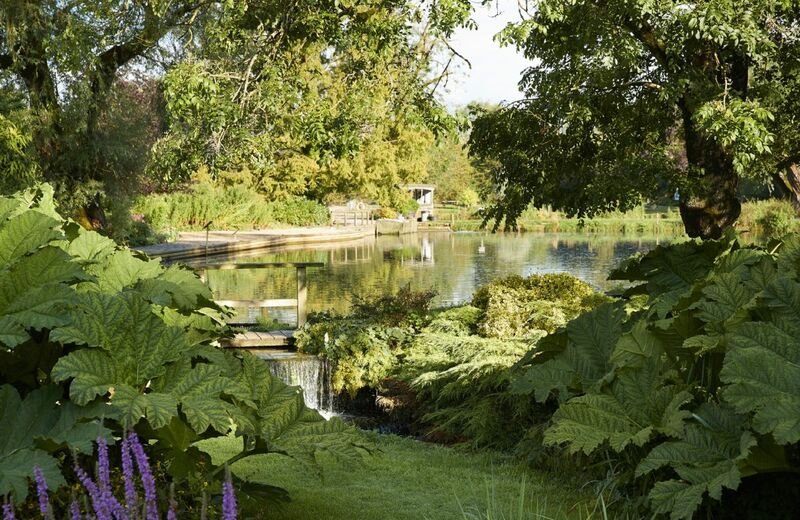 Blenhiem Palace, the spectacular historic house and gardens, is open to visitors throughout the year. Both Batsford Arboretum and Westonbirt Arboretum offer amazing walks through beautiful trees and shrubs. For additional inspiration on what to do within the area, please click here.